If you see Skarlet you are seeing Blood..
Beside Cyber Sub Zero, Skarlet is the only really new Mortal Kombat character since Taven and Daegon in Mortal Kombat Armageddon (2006) and she is not only super fun to play but also very attractive and the first female ninja in the Mortal Kombat series really based on the old asian Kunnoichi with her Kunais and Kodachi swords. 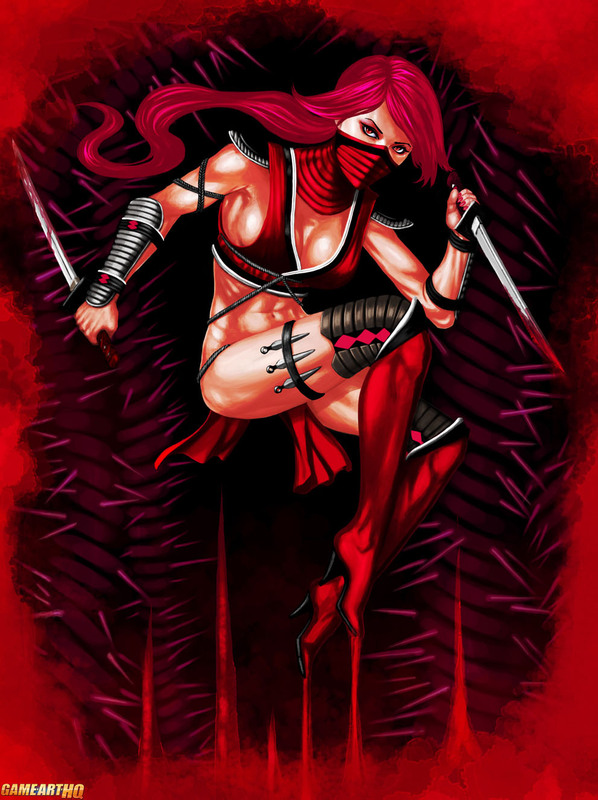 While Mortal Kombat is not that popular in Japan, there are a few very dedicated Japanese artists like Kachakacha here who created this Skarlet fan art among many other MK related pieces. You should check out his gallery on dA..its full of awesomeness!